I would assert that every entity in today’s dynamic marketplace can be categorized in one of two ways: Those that are proactively developing disruptive products and solutions, and those that will be forced to react to them. Technology is evolving at such a rapid pace that many organizations are struggling to respond. At a minimum, every industry and profession (from lawyers to pharmaceutical researchers) are reconsidering their approach to strategy, adaptability and optimization. Entrepreneurs and c-suite executives need to appreciate the extent to which advancements in such sectors as artificial intelligence (AI), the internet of things (IoT), big data, 3D printing, cloud computing, fintech and robotics will impact their organization’s people, revenues, profits, and value propositions. The Disruptors and the Disrupted share a common test: A question as to whether the impacts of the disruption will be a Threat or an Opportunity (in other words, the likelihood that the organization can achieve sustainability). In both cases, it will be leadership’s commitment to growth strategy AND operational infrastructure – the two keys to promoting a highly cognitive and responsive business – that will ultimately determine the organization’s long-term viability. Is growth best fostered if your entity stays the course or pivot? What revenue channels are unexplored? How will operations and infrastructure need to transform in order to support such aims? Is your strategic process keeping pace with the aggressive change acceleration and condensing business cycles we are witnessing across all industries? And, if cultural or leadership change is warranted, does the organization need a hitman or a healer to achieve its mission? The answers are different for every entity. 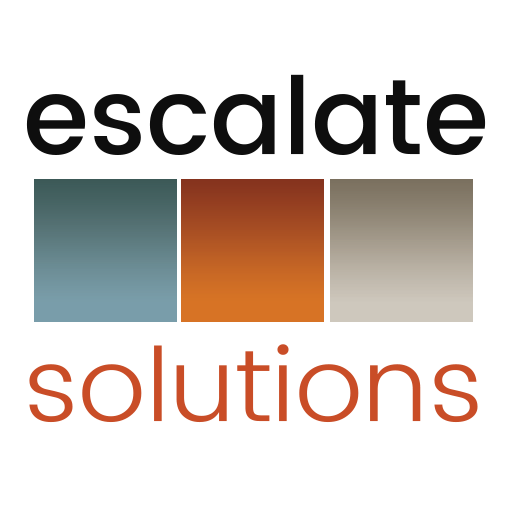 Escalate Solutions exists as an advisory firm to help leaders navigate and anticipate these common, yet enormous, challenges. Check back soon for an announcement about a collaboration I am formalizing to further our capabilities for growth strategy and operational excellence. This entry was posted in Artificial Intelligence, Big Data, C-Suite, CEO, CMO, COO, CSO, CTO, Culture, D-D Printing, Disruption, Entrepreneurship, FinTech, Growth Strategy, IoT, Kimberly Arnold, Robotics, Small Business, Uncategorized, Value Proposition and tagged business, C-suite, CEO, CFO, CHRO, CIO, CMO, COO, CSO, CTO, culture, disruption, Escalate Solutions, growth, Kimberly Arnold, Leadership, monetization, operations, pivot, revenue, strategic planning. Bookmark the permalink.